Ravneet Bittu Trying to Play Sukhbir Badal's Part Regarding Adliwal Explosion? Ravneet Bittu Trying to Play Sukhbir Badal's Part Regarding Adliwal Explosion? Chandigarh: The then Deputy Chief Minister of Punjab Sukhbir Singh Badal was quick to blame Sikh sections and the Aam Aadmi Party for bomb blast in Maur Mandi during the campaign of last assembly elections in Punjab. The Deputy CM had said that the blast which took seven lives was result of hobnobbing between Sikh diaspora and the AAP. The theory was endorsed by many others, including the Punjab police chief Suresh Arora. But later it was found that Dera Sauda Sirsa (DSS) followers had carried out this blast and the issue was buried down without any responsible withdrawal of accusations that were made by the then Home Minister Sukhbir Singh Badal and Punjab police chief. It seems that after yesterday’s Adliwal explosion the Congress MP Ravneet Bittu is trying to play the role which Sukhbir Singh Badal had played after Maur Mandi blast. In a written statement issued yesterday (copy available with SSN) Ravneet Bittu said: “the role of Sikh hardliner Baljit Singh Daduwal and others who follow his ideology should be probed in relation to the attack on a particular sect’s Bhawan at a village in Amritsar district” (sic). He did not present any argument or basis for his demand to investigate role of Bargari Morcha organisers for Adliwal blast. He further said in his statement: “The desecration of Sri Guru Granth Sahib Ji was also carried by people who do not want Punjab to flourish. Some Khalistan sympathisers like Baljit Singh Daduwal are doing petty politics over this sensitive issue and it is now a proven fact that he is getting funds for carrying out such dubious activities from abroad. The Congress government in Punjab is keeping a close watch on the activities of all such persons” (sic). It is notable that the Congress government appointed Justice Ranjeet Singh Commission has clarified that Dera Sauda Sirsa (DSS) followers had conspired and carried out Beadbi of Guru Granth Sahib but MP Ravneet Bittu did not name them in his statement. He is using very vague term “people who do not want Punjab to flourish”. 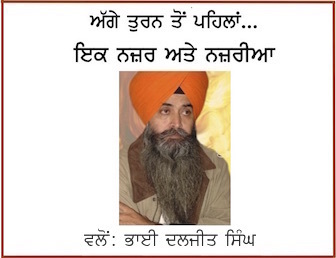 Where as while talking about Sikhs who are demanding proper action against culprits who did beadbi of Guru Granth Sahib Ravneet Bittu goes extra-specific and label them as “Khalistan sympathisers” to invoke anti-Sikh prejudice forged by nexus between Indian politicians, Indian intelligence agencies and the Indian media. Ravneet Bittu Trying to Influence Investigations? 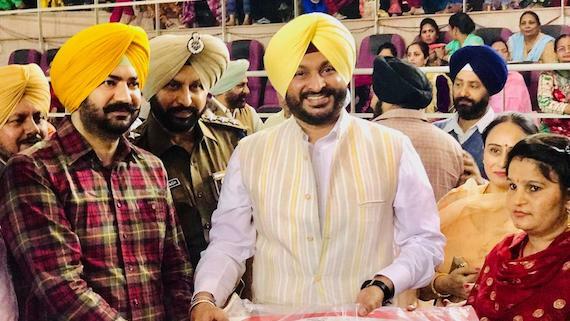 The investigations of Adliwal explosion are at initial stage and it seems that Ravneet Bittu was trying to indirectly influence the investigations to direct it against the Sikhs who are demanding nothing but fulfilment of justifiable demands. Dakha MLA Advocate Harwinder Singh Phoolka has taken a stand on the issue that it was not proper to blindly start accusing Sikhs for the Adliwal blast. He referred to Maur Mandi blast and said that even then the government official and politicians had wrongfully accused Khalistanis or the Aam Aadmi Party for the blast whereas now it has come clear that the blast was carried out be Dera Sauda Sirsa (DSS) followers. He said that a number of instances are there when governments themselves carries out blast in a particular political situation to blame another section. He strongly condemned the attack and said that proper investigation must be carried out to find and punish the culprits. Police stated-Enquiring if its a Terror act. Shocking.Throwing grenades on a peaceful congregation by itself is not a Terror act, it will depend who has thrown it. If followers of Ram Rahim has done, then its not a Terror act, but if Kashmiri has done then Terror. Prior to #Amritsarblast, last blast in Pb was #MaurBlast in Jan2017 killing 7 innocents. It was termed biggest Terror act. When Police found it is done by followers of Ram Rahim, a total silence. No progress. This shows how serious are we in controlling Terror. Like in last year’s Maur https://t.co/ec0qaVYRj2 one should reach a conclusion without detailed impartial investigation.Even a moderate person like me who has always been against Khalistan-think so. I regret statement that may have purported to be against the Army Chief.